The principle is a mixture of all the best solutions of the guitar-making history, merged into a new modern improvement of the traditional double cutaway shape. "Beside incredible aesthetics?....TONE! When I plugged the guitar...wow! It was like my amp always missed something, until now." 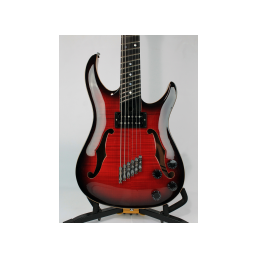 A classic design, revisited to fit the needs of modern musician and follow the playing techniques evolution. With a better reach of the higher frets, a versatile scale length (25,34") to reach an impressive balanced frequency response, snappy and concept-tuned handmade pickups, a lighter and more responsive headstock. 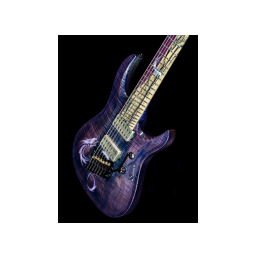 The lower strings profile allows a more confortable picking techniques, resulting in faster and clearer performances. A wide variety of tonewood combinations available, to perfectly tune and match the combination that fits best for every single musician, with his own needs and personal tone-research. 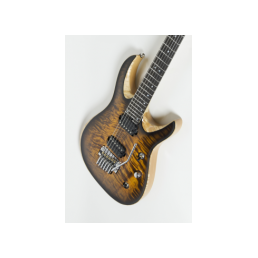 Can be enriched with a handcarved figured tonewood or with a luxurious 1/4" drop-top with smooth elbow and belly contours, carefully selected worldwide for the best figure, stability and tone properties. 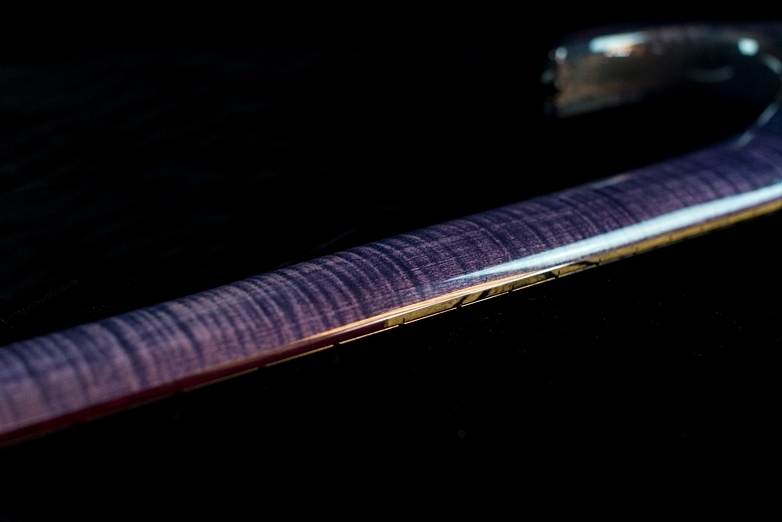 The proportions are studied for the perfect balance (have you noticed the shorter headstock and longer upper horn?). 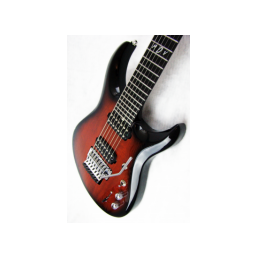 The access at the higher frets has plenty of space for the most confortable shredding in the higher range. My comfortable neck's profile is available, with his elliptical shape, the proper grip is always available along all the edges while, as it gets almost flatter in the center, it allows tireless hours of study and rock performances. Other traditional or custom profiles are available too, just tell me your preferred neck style or hand size. 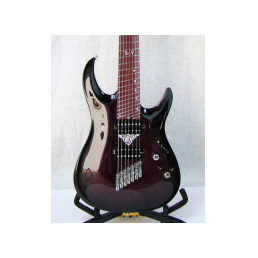 Since 2006, stainless steel frets are included in all my guitars, due to the unbeatable performance superiority and lasting unwearable feature of the hard, hi-polished surface: expect to go faster and play cleanly. I use a large palette of materials: stones, precious shells, resins, exotic woods and metals. 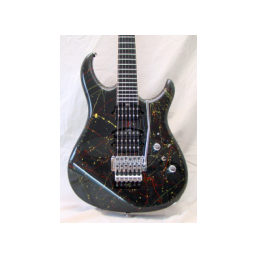 You can even have your fretboard glossy finished with all the colors you desire. Ergonomic design or extended range is important for you? 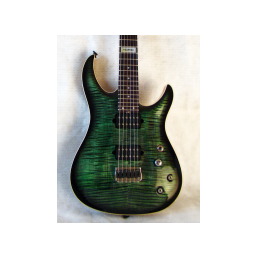 I offer different Fanned Fret/Multistring designs, up to 7 strings for Brea model. 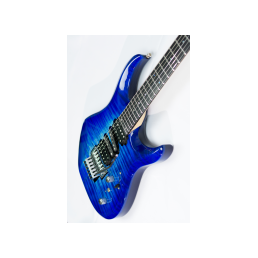 7 String bass side - treble side diapason's spread: 27"-25.5"
6 String bass side - treble side diapason's spread: 26.5"-25.4"
Or is the research of perfect intonation something you don't compromise with? 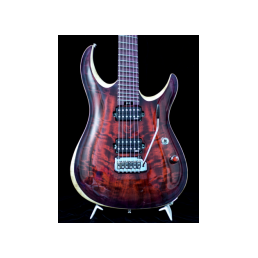 You should really check this and stop wondering about tune: I give you the True Temperament® system on 6 and 7 strings models. Want more? 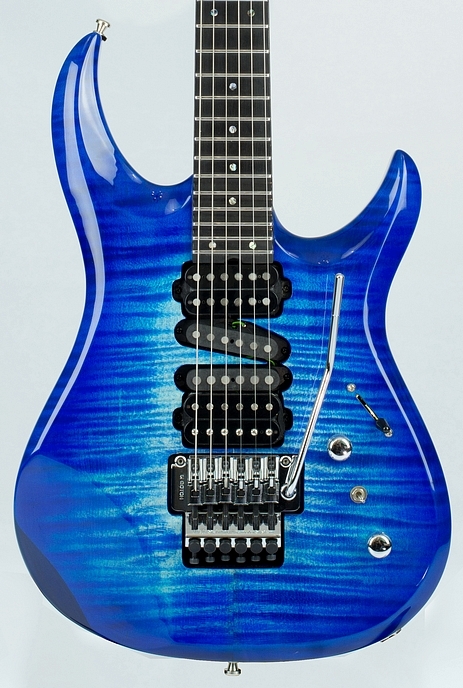 Reach the absolute tuning stability with the Evertune® bridge, available too for the GNG Brea. fast yet comfortable elliptical neck profile. 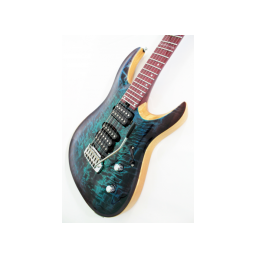 Here are shown some GNG Breas I've made, each one is a custom order: this reflect the wide variety of needs and requests of different guitarists. 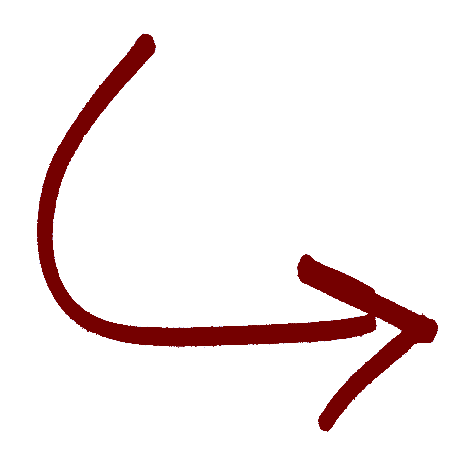 Click on a photo to see a gallery in higher size and watch closer all the details you want to, left and right arrows help you navigate the gallery. Use the arrow on the bottom right corner to access more of them. Want to get one in your hands? Last fine-tuning: what is most important to you?